Are you or your family finding it hard to cope? Like to improve your family relationships? Interested in support to become a better parent? Would you like support to prepare for release? work together to decrease the chance of intergenerational crime. We have family support workers in HMP Holme House, HMP&YOI Kirklevington Grange, HMP & YOI Deerbolt, HMP Durham, HMP Northumberland, HMP Frankland and HMP&YOI Low Newton, where we also have a family engagement coordinator, through out PFSA partnership. They can be contacted by ringing the visitors' centres at these prisons. 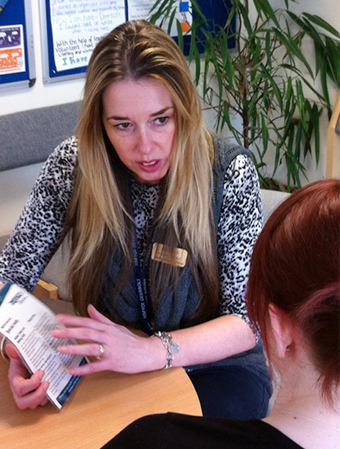 Our family support service managers are working to facilitate a joined-up, multi-agency approach to working with the children and families of prisoners, and provide links between services from a wide range of agencies, including Integrated Offender Management services, Children's Centres, the voluntary sector, and prison-based family support. Find out more about their work with agencies across the north east here. For professionals working in the north east with children and families who may have been impacted by imprisonment we also offer a one day training course, designed by Action for Prisoners' Families (APF), called Hidden Sentence training. Nepacs can also deliver Hidden Sentence awareness raising sessions (2.5 hours) if required or tailor the training to meet your organisational needs. Find out more about our Hidden Sentence training HERE or contact Angela Donaghy on adonaghy@nepacs.co.uk or telephone 0191 332 3810. This service is available from police custody suites, through to courts, and during a prison sentence. Text or leave a message and our team will call you back. NEPACS is committed to respecting your privacy and keeping your personal information safe. Please read our Privacy, Accessibility and Cookies Statements for more information.© 2017 NEPACS.